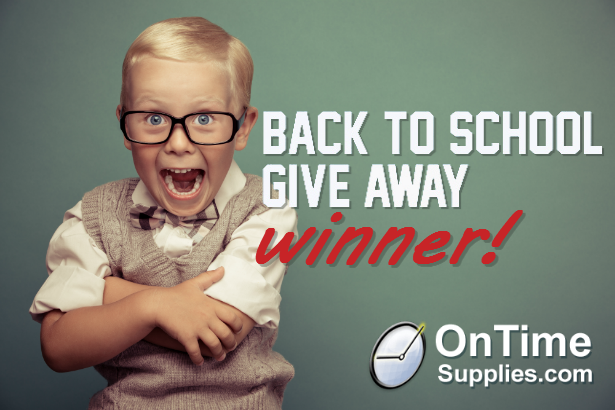 We have our Back to School Giveaway winner! But before I tell you who won more than $500 in FREE school supplies, I need to thank everyone who participated. Your enthusiasm made the 2013 Back to School Giveaway the best one yet! As a thank you, we’re sending all eligible Back to School Giveaway participants a coupon code good for 10% off anything you want at On Time Supplies.com! Keep an eye on your email folks! Your coupon code is on the way! Chip! Congratulations! You just won $500 in FREE school supplies! 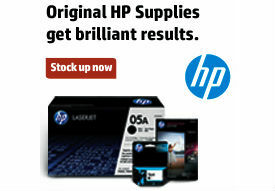 $100 coupon code to spend at On Time Supplies on anything you want! $100 in extra school supplies from other great office supply brands! Thanks to again everyone who participated in the Back to School Giveaway! I hop you all have a great school year! And hey, you may not have won the big prize, but there is still time to enter the X-ACTO Electric Pencil Sharpener Giveaway. But hurry! The contest ends Monday, August 12.